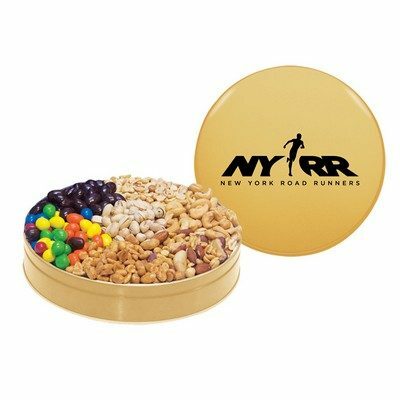 Give them a bite of your promotional message with our Seven Way Nut Tin at the next holiday season! 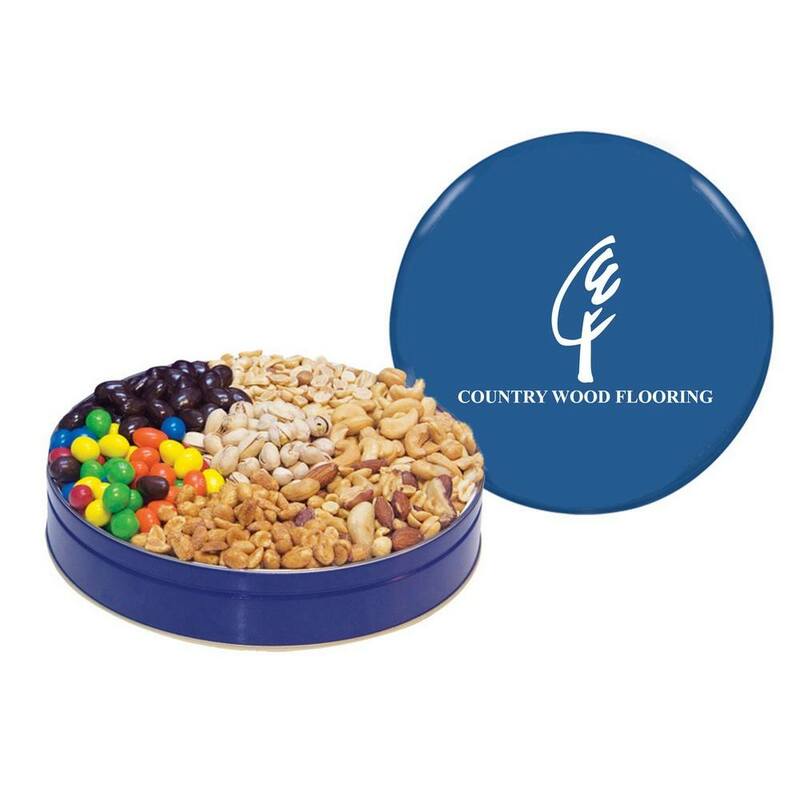 This delicious mix would definitely appeal all your customers with its mix of nutty treats. 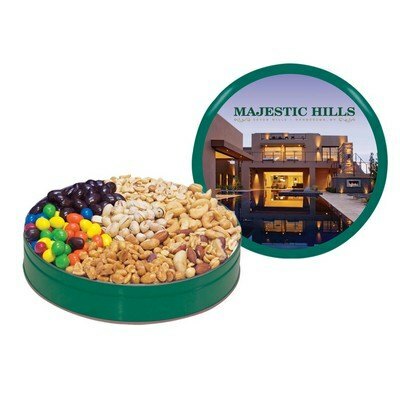 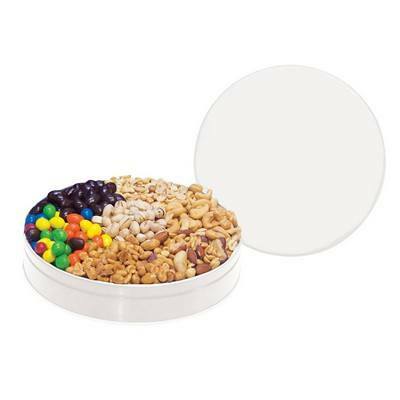 This delightful gift is made up of a large round tin with separate compartments containing gourmet mixed nuts, jumbo pistachios, deluxe chocolate covered peanuts and mixed candy. 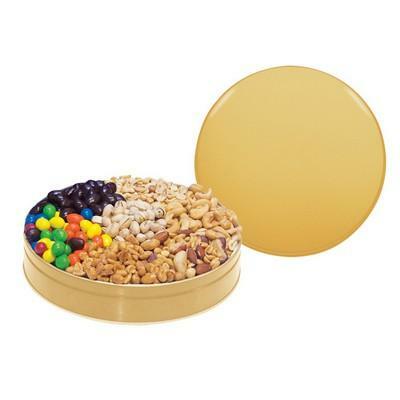 This impressively presented elegant gift tin can be reused once the treats are used up. You can choose from various tin colors and print your custom logo on the lid to showcase your brand every time your recipient opens up the delight.